If you’re spending spring semester abroad, you might be considering a gym membership (although if you’re lucky enough to be somewhere warm this time of year, you might want to consider warm runs outdoors). 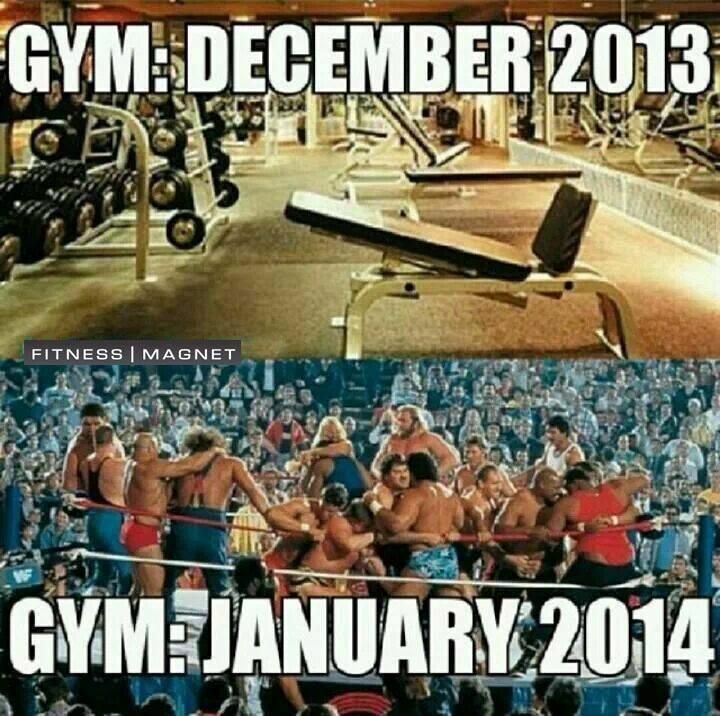 If you check out a gym and it looks really great, but also really crowded, it might be worth trying to find out how much of the crowd is due to New Years Resolutions. I don’t want to be that person that suggests that 2015 isn’t the year that millions of people will suddenly start going to the gym for 3 hours a day, but 2015 isn’t the year that millions of people will suddenly start going to the gym for 3 hours a day. 1. You’re awesome. Thank you so much! 2. You may have noticed that there have been a lot less updates lately. Preparing for finals took up a lot of time, especially since Spanish isn’t my first language. I’m so sorry for the lack of posts, more are coming soon, including the Christmas Around the World post I promised (just in time for Eastern Orthodox Christmas – right? ).